Leica's Early Years, "Little Negatives Big Pictures"
Just as films were getting better, making bigger enlargements possible, the Leica camera changed the world. Then, as now, the Leica was made to the highest mechanical standards, all designed to help a photographer take the highest quality photographs in the easiest, least obtrusive way. 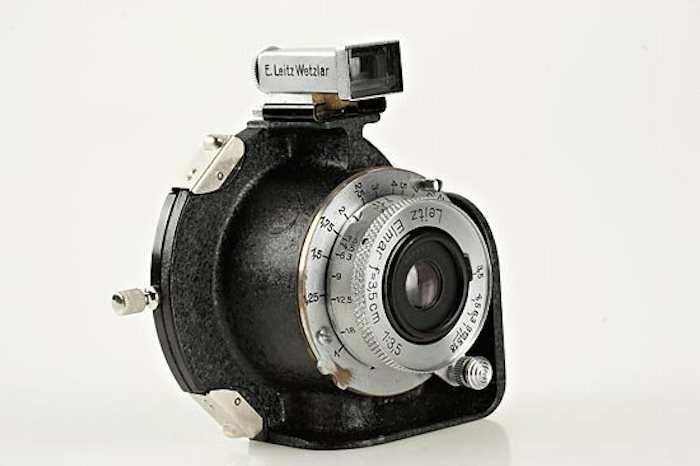 Its inventor, Oskar Barnack, developed prototypes as early as 1913, and in 1925, Ernst Leitz introduced the 35mm Leica A, known as the Leica 1 Model A in the United States. In 1935, each of its new interchangeable lenses-both a 35mm wide-angle and 135mm telephoto - turned Leic into a different instrument. "Little Negatives, big pictures," was Barnack's motto. Here are some of Leica's earliest models that were the trendsetters of the early camera industry. 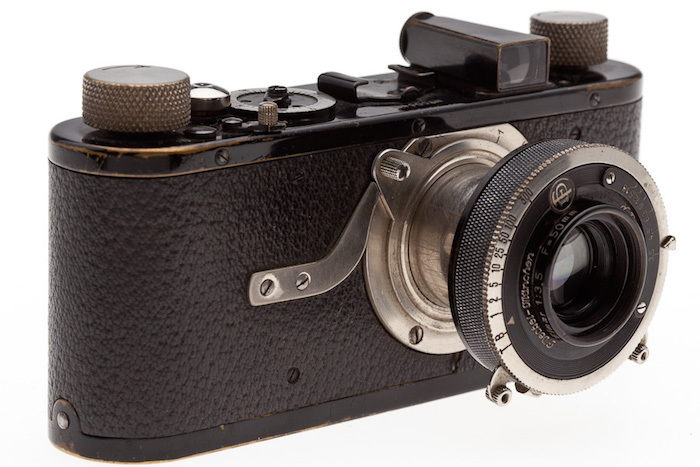 Part of Leica's appeal came from the very idea of the "candid camera." Erich Salomon (1886 - 1944) first used a handheld model, the Ermanox, to photograph German high society as Hitler was gaining power. Before long Alfred Eisenstadt and Henri Cartier-Bresson were using Leicas to make pictures of scenes such as V-J Day kisses in Times Square and street life in paris. The cumbersome Speed Graphic with its powerful flash was still an awesome weapon for news photographers covering Hollywood openings and shooting crime scenes. But the Leica ratified the 35mm format. In the 1960s, German, American, and especially Japanese camera companies gradually substituted the single-lens reflex format for the rangefinder system. Production was streamlined and camera prices lowered. By marketing their cameras to affluent amateurs, companies such as Nikon, Canon, Olympus, Asahi Pentax, and Minolta grew the business. Meanwhile films, newspapers, lenses, and processes all improved - each significant innovation serving as a "force multiplier" to drive camera sales, spur film and print consumption, and propel a growth curve that implied permanent prosperity. . .